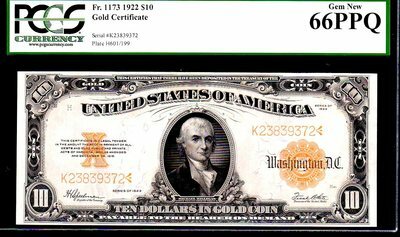 FR 1173 US 1922 GOLD CERTIFICATE PCGS 66PPQ! 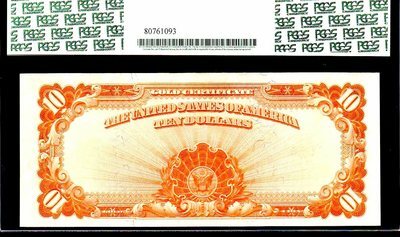 “2nd FINEST KNOWN!” HILLEGAS NOTE This Gold Certificate, at almost 100 Years old, has basically perfect centering; in fact, it was in a 67PQ holder from another co. and when comparing the margins to other 67’s, certainly is of equal or superior qualities. The Paper is of the Bright White variety, which really contrasts nicely with the dark black inks, really pops! 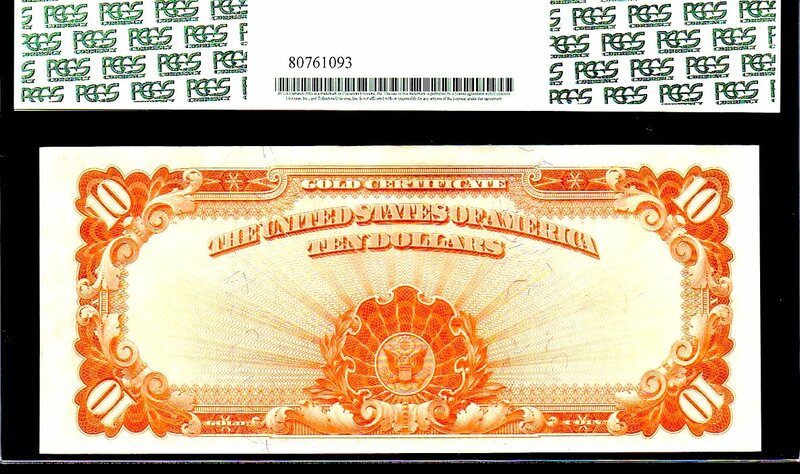 The corners are razor sharp with gorgeous original paper! 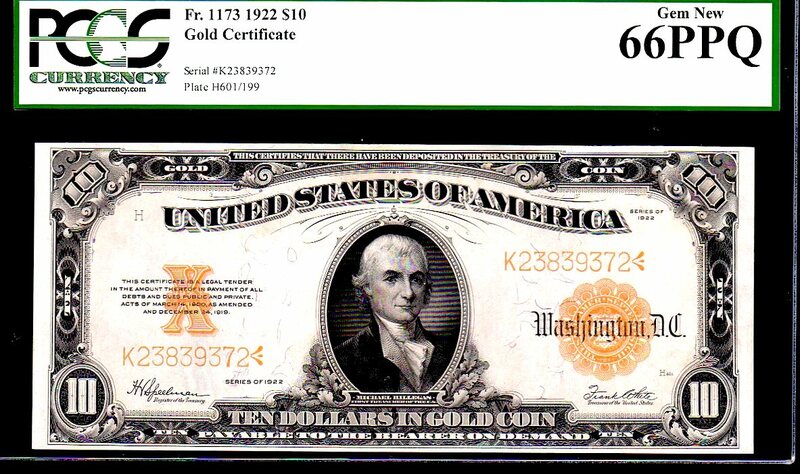 This note type is highly sought after and will certainly please even the most discriminate of collectors!